Khilafat (or Caliphate) is a word that instils great fear amongst many non-Muslims. Are these fears justified? Or is there a Caliphate that exists today that spreads peace, love and harmony in all directions? 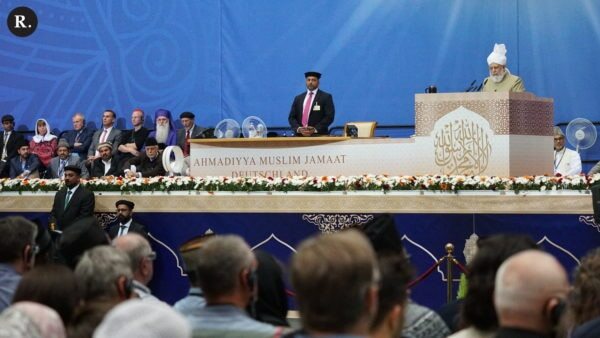 On Saturday 14 June 2014, the World Head of the Ahmadiyya Muslim Community, the Fifth Khalifah, His Holiness, Hazrat Mirza Masroor Ahmadaba emphasised the true nature of Khilafat during an address in front of around 1000 non-Ahmadi guests at the second day of the 39th Annual Convention of the Ahmadiyya Muslim Community in Germany. “All guests, Assalamo Alaikum Wa Rahmatullahe Wa Barakatohu – peace and blessings of Allah be upon you all. First of all, I would like to express my sincere gratitude to all of you who have given your time to come here and attend our Annual Convention – the Jalsa Salana. Unfortunately, in much of the world today a very significant number of people hold a fear of religion in general and of Islam in particular. Thus, in such circumstances, your attendance of a purely religious event shows that you have a keen desire to learn and research about religion. Therefore, along with my thanks, I also pray that you may be those who seek to learn the true essence and true need for religion from the depths of your hearts. Today, as the Head of the Ahmadiyya Muslim Community, I would like to briefly address you about the true teachings of Islam. Of course in this short space of time it is impossible to cover all of Islam’s teachings, and so I will limit myself to a few certain aspects. We find that in the Western world, from time to time, various reservations arise in relation to Islam and there is an undercurrent of hostility against it, whereby certain unjustified allegations are attributed to its teachings. False interpretations are linked to the Qur’an and so its teachings are entirely misrepresented to make it appear that, God forbid, Islam teaches nothing but extremism and barbarity. 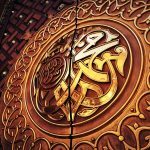 It is also claimed that, God forbid, the Prophet of Islam, the Holy Prophet Muhammadsa acted in a cruel and oppressive fashion. As a result we find that there are people who express grave fears about the construction of new mosques because they are afraid that teachings of extremism will reach the Western world. I have no hesitation in admitting that the overall state of the vast majority of the Muslim world today is dire, and when we witness the conduct of certain so-called Muslims, it becomes apparent that these fears are becoming justified. As a result, those affected demand that restrictions should be placed on the religious practices and teachings of Muslims. They very strongly argue that there should be a ban on propagating Islam and on building new mosques. And regretfully there are some people who use abusive and highly offensive language about the Holy Prophet Muhammadsa. 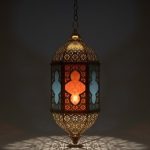 Moving forward, it is well-known that Islam is considered to be the world’s second largest religion behind Christianity. But the reality is that the majority of Christians living in the West do not practice their faith, nor do they have any real interest in religion. This is something that the Church itself accepts and which various media reports also substantiate. 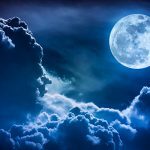 Indeed, a very significant proportion of such people do not believe in God at all, whilst there are others who claim to believe in God but do not believe that religion is from Him and thus they feel there is no need for it. On the other hand, we see that the majority of Muslims do associate themselves closely to their religion and cannot tolerate hearing anything negative said about their religion or about the Holy Prophet Muhammadsa. Thus, when those who oppose Islam provoke the religious sentiments of Muslims it leads to a negative reaction, which in turn is a cause of serious disorder and strife in the world. Whilst the negative reaction of the Muslims is completely wrong and unjustified, however human nature and logic dictates that when their feelings or emotions are wrongly incited or provoked they will naturally react. Taking advantage of such reactions, anti-Islamic powers are quick to label Islam as a religion of extremism and terrorism without pausing for thought or investigation. They brazenly or without hesitation denounce Islam, even though fairness requires that whilst they stop such crimes or wrongdoings, they should also honestly assess whether such acts are in accordance with Islam’s true teachings or whether they are an unjust misrepresentation. In this regard, I have been pleased to see that in the Western media, some non-Muslim commentators have started to question why the wrongdoings of so-called Christians are not attributed to the teachings of Christianity, yet the wrong acts of Muslims are always attributed to the teachings of Islam. This is, in fact, speaking out in favour of justice. This is, in fact, speaking out in an effort to remove all grievances and bitterness from the world. This is, in fact, a means of bringing people together and forming an atmosphere of mutual harmony. The true teachings of Islam that we have learned from the Qur’an and from the practice of the Holy Prophet Muhammadsa teach us to never act cruelly and to always fulfil the rights of mankind. Islam teaches Muslims to free every person and every nation from all forms of slavery and servitude – whether physical, economic or social slavery. Islam teaches us that all people are equal and that one’s race and colour are not means of superiority or status. 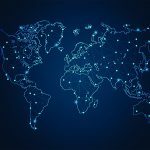 Rather, the only value of one’s nationality or ethnicity is to act as a means of identification – it is nothing apart from this. The Holy Prophet Muhammadsa taught that an Arab has no superiority over a non-Arab and nor does a non-Arab bear any superiority over an Arab. What Allah the Almighty loves is righteousness and so a person who performs righteous deeds will obtain God’s love and nearness. Thus, if a person has any special value or status, it is due to his piety and his good conduct. In terms of righteousness, Islam teaches that there are two overarching features. The first is the fulfillment of the rights owed to God Almighty and His worship. The second is the fulfillment of the rights owed to God’s creation and service to humanity. Islam teaches Muslims to spread mutual love and affection in every direction and across all parts of society. It especially advocates caring for the most vulnerable and impoverished members of society such as orphans. Furthermore, for the sake of the world’s peace, Islam teaches that you should never take the first step or instigate any act of aggression or warfare. If war is forced upon you and you are left with no choice but to fight back, then you must only defend yourselves with the intention of re-establishing peace. Thus, Islam teaches that when an aggressor withdraws, they should not be taken advantage of and no transgression or cruelty should be inflicted upon them. At such a juncture the war should be stopped immediately and the defeated party should not be subjected to economic sanctions and the victor should not seek to assert his control over them or to subjugate or humiliate them in any shape or form. Even where Islam has permitted a purely defensive war, it is limited by the very strict rules of engagement laid out by the Holy Prophet Muhammadsa. He taught that where Muslims are forced into war for the sake of establishing peace, they must not harm any woman or child. He said that no priest or religious leader, who remained in their places of worship, were to be attacked and nor must any church or place of worship be targeted. We talk of the environment today – and so in terms of the environment he taught that no trees were to be felled and no crops were to be damaged. Thus, in reality, during a state of war, a Muslim is not permitted to attack anyone except the opposing soldiers and therefore no civilian should ever be harmed. However, it is of great regret that we see that in the wars fought today it is innocent people who suffer the most and the number of civilian casualties exceed all others. Even during the Second World War the majority of those killed were innocent civilians, and as I just said, in the smaller-scale wars or conflicts being fought, it is civilians who are suffering the most. Let me be clear that this is entirely against Islam’s teachings. Once, during a war in the time of the Holy Prophet Muhammadsa a Muslim killed a woman and a child. When the Holy Prophetsa became aware of this he became extremely angry. The Muslim sought to justify himself by saying that those who he had killed were Jews or non-Muslims, to which the Holy Prophetsa categorically said that they were innocent people, and to kill innocent people was a very grave and major sin. Thus, these are a few examples I have presented which give only a glimpse of Islam’s true and beautiful teachings. Of course a question that naturally arises is that if these are Islam’s authentic teachings then why do we find certain Muslim groups or individuals perpetrating cruelties or committing horrific attacks targeting both their fellow Muslims and also non-Muslims? This very question has already been answered in a prophecy made by the Holy Prophet Muhammadsa more than 1400 years ago. He clearly foretold that a time would come when the vast majority of Muslims would move far away from Islam’s original teachings. However, he also gave a great glad tiding by saying that at such a time of spiritual darkness, Allah’s Mercy and Compassion would once again encompass the world and He would send a Messiah and Mahdi who would re-establish the pure teachings of Islam. We, Ahmadi Muslims, believe that the Messiah and Mahdi has come and it was he who founded the Ahmadiyya Muslim Community. 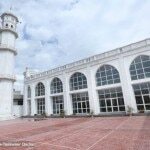 He, Hazrat Mirza Ghulam Ahmadas of Qadian, enlightened the world with Islam’s true and original teachings. And so at this time I shall present a few extracts from his writings in which he has shined a bright light illuminating Islam’s pure and entirely peaceful teachings. Thus, these are just a few examples from the writings of the Founder of the Ahmadiyya Muslim Community, in which he has urged his followers to spread love and compassion to all parts of the world. These are the true teachings of Islam and with the Grace of Allah it is with these peaceful and compassionate teachings that the Ahmadiyya Muslim Community has flourished and spread to every part of the world. 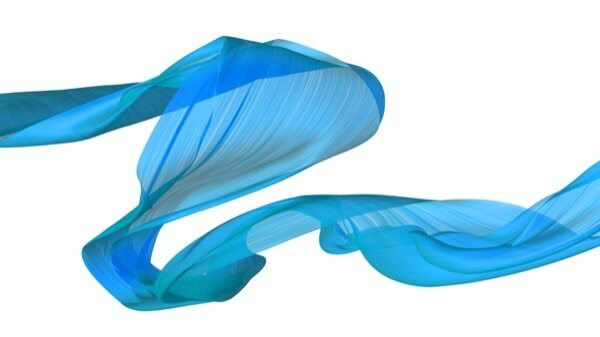 The message we deliver does not contain harsh language and nor does it contain any type of force or compulsion. Rather, our message is of love, affection and unity. We have been taught to reply to abusive and hurtful language with prayers. And in response to the persecution and grief we face, we give only love, peace and comfort to the world. This is our teaching and this is our faith. 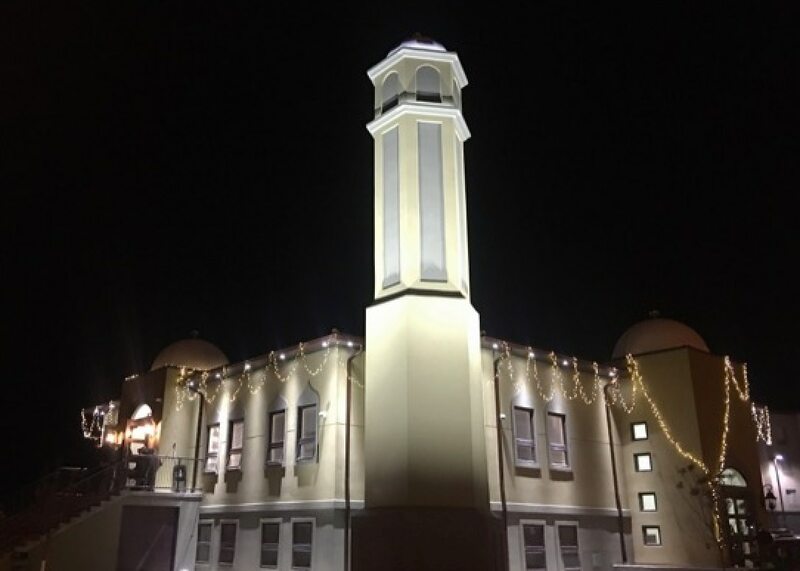 And today the Institution of Khilafat – that is the institution of spiritual succession that leads the Ahmadiyya Muslim Community – is keeping these true teachings of Islam alive. The Khilafah of the Ahmadiyya Community can never depart from Islam’s core teachings of fulfilling the rights owed to God and to mankind. Today, the institution of Khilafat is striving for peace in every possible way and to spread love and affection throughout the world. Thus, I am shocked and saddened when I learn that in some parts of Germany certain non-Muslims say they will not allow Khilafat to take even a single step into this country. As I have already said true Khilafat is a means of spreading compassion and benevolence and so I ask such people if they would seek to place hardships or restrictions on those people who are living here peacefully, loving their country. I do not believe that any sensible or intelligent person could ever subscribe to such an unwise opinion. Thankfully, the vast majority of German people do not pay attention to such intolerant attitudes and that is why you are all here today. You are seeing for yourselves that in these halls there are thousands of men and women who are completely attached to Khilafat and through this unbreakable spiritual bond they are perfectly united. They speak only of how to spread love and affection and how to fulfil the rights of humanity. Indeed, the local people who are joining the Ahmadiyya Community from amongst the German population are testifying to the truth that the Ahmadiyya Khilafat is a means of drawing people towards fulfilling the rights of God and of mankind. Let me make it clear that the institution of Khilafat leading the Ahmadiyya Community has no interest in power or government. Rest assured that true Khilafat has no worldly or political objectives and gains and neither is it gifted to those who have a lust or greed for it. The sole concern of the Ahmadiyya Khilafat is that the people of the world come to recognise their Creator and bow down before the One God and secondly create the spirit of love and harmony among the people of the world. Today, the Ahmadi Muslims, who are spread in 204 countries of the world, practically testify to this truth. The fact that you are sitting in absolute peace in a gathering of around 30,000 Muslims is because these are Muslims who are followers of that Khilafat that seeks to win hearts through love alone. It will never seek to compel or use force and extremism to take over any people or nation. In conclusion, I am sure that Islam’s true teachings will have become evident to you from what I have said today and you will have come to understand the true nature of the Khilafat leading the Ahmadiyya Muslim Community. 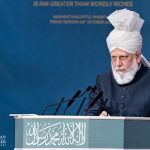 I am sure you will have come to realise that there is no need to fear this Khilafat and so I would also request you to inform others about its true nature within your own circles. This Khilafat is always at the forefront of condemning and speaking out against every form of cruelty and injustice that takes place in the world. Indeed if ever there is an Ahmadi Muslim who perpetrates any wrongdoing then we always take appropriate action against them.